Following his record sleeve series on VF last year, graphic designer and writer John Foster will hone in on one album cover a month, discussing the finer details of the design, and the processes behind it. 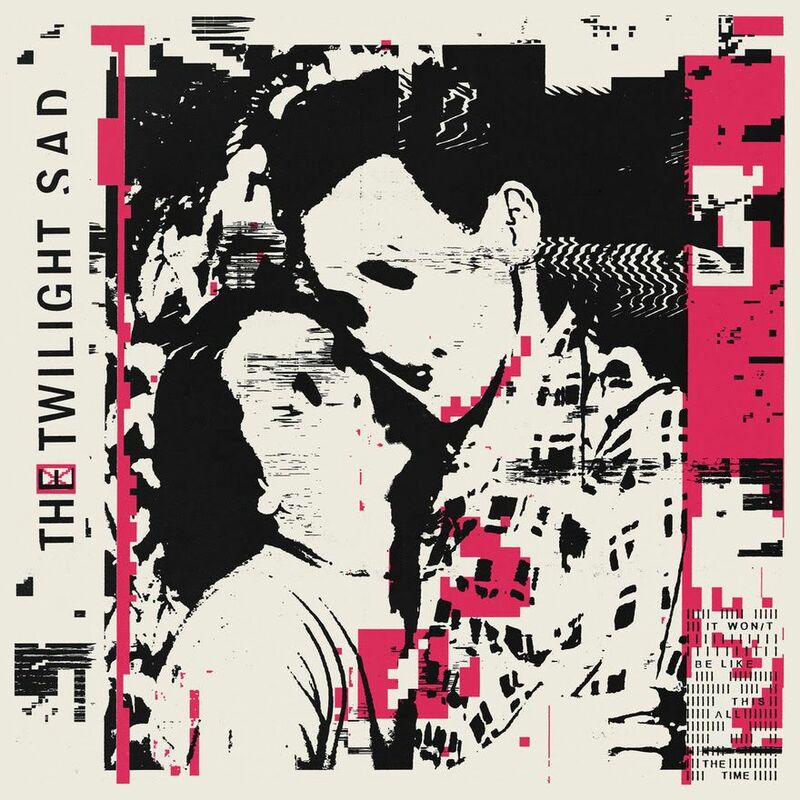 This month, it’s The Twilight Sad’s It Won/t Be Like This All The Time. 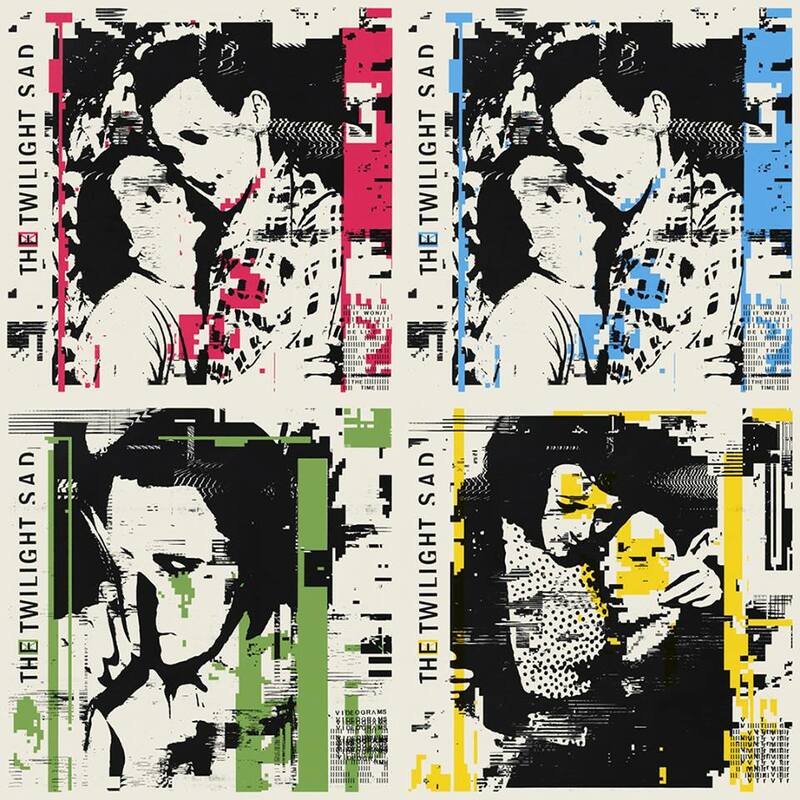 Cardiff-based designer and illustrator DLT (Dave Thomas) has worked with The Twilight Sad from the very beginning, creating the artwork for all of their albums and singles. Along with band members Andy MacFarlane and James Graham, that continuity has allowed him to build up a visual language, making it all the more effective when they turn it sideways just a bit. That experimentation is what makes the packaging for It Won/t Be Like This All The Time their strongest yet. 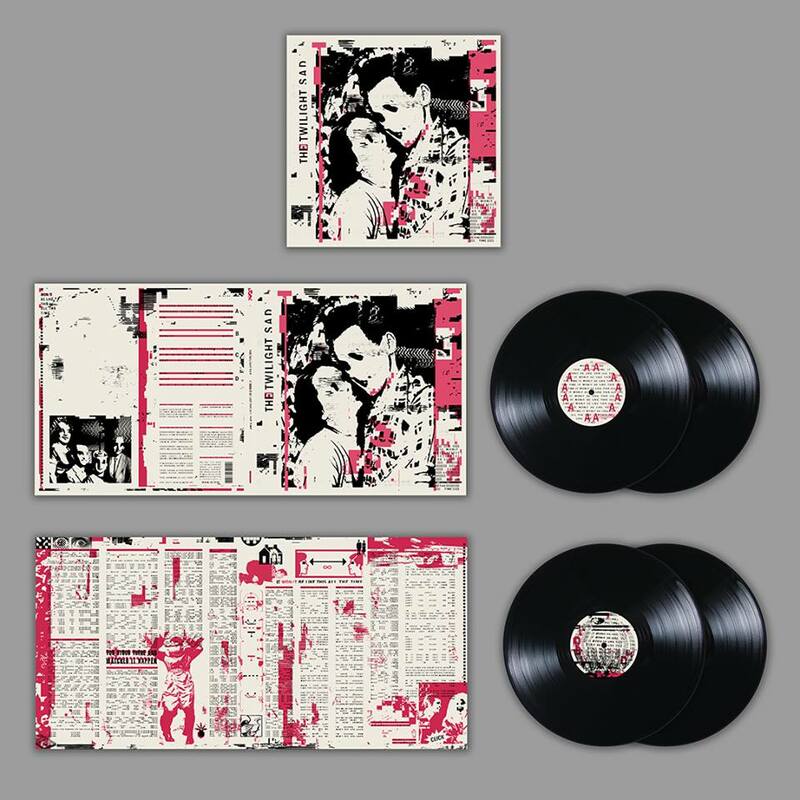 “The root of the inspiration for this new album initially came from a lot of small press design publications and cut-and-paste style punk zines we had been looking at,” explains Thomas. 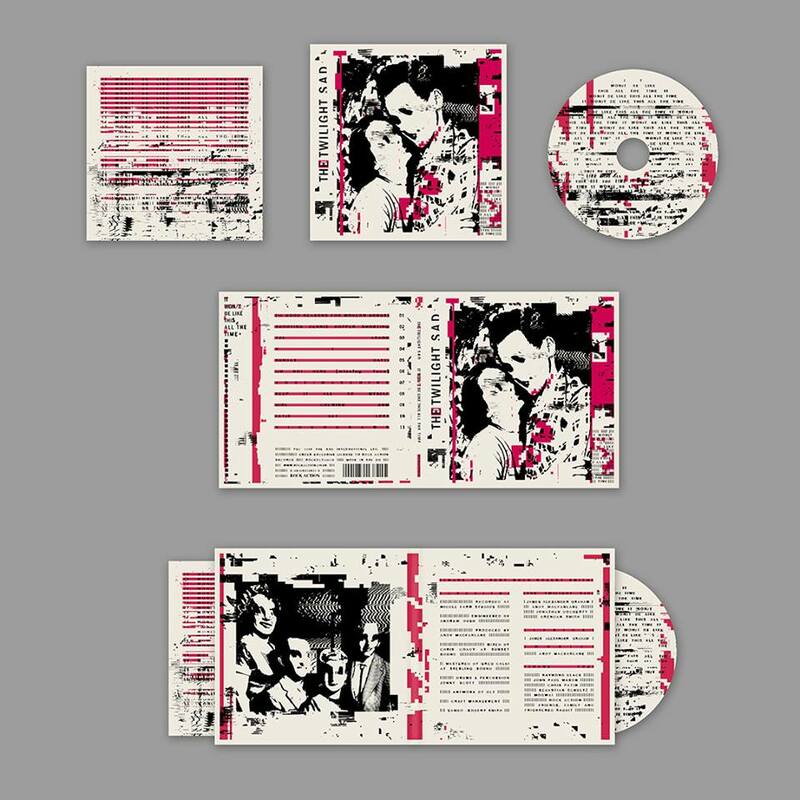 Building on the simple two-colour scheme and bold graphics, they set out to heavily degrade the imagery in hopes of capturing the lyrical themes within. To create that pixilated and degraded feel, Thomas steered well clear of Photoshop filters. “I played around with data bending techniques to create some of the source material,” he explains. “I was running image files through text/edit programs and changing some of the make-up of the coding, before saving and reopening, giving me new images that were completely degraded and rearranged at random.” He then placed these experiments throughout the artwork. “With software that allows you to control everything down to the tiniest detail, it was more interesting to let the direction be informed by something more random,” he adds. Layering everything together he was careful to have the typography share the same feel as the imagery, using a photocopier and pixelisation to similar effect. With the band, he also discussed how the slash placed in “Won/t” could be read in both a positive and negative light. “We enjoyed that it could be looked at as It Won/t Be Like This All The Time… so cherish the happy moments; or It Won/t Be Like This All The Time… but tomorrow its a new day, things will be better,” Thomas says. John Foster is the author of Album Art: New Music Graphics (Thames & Hudson), New Masters of Poster Design (Rockport) and numerous other books. 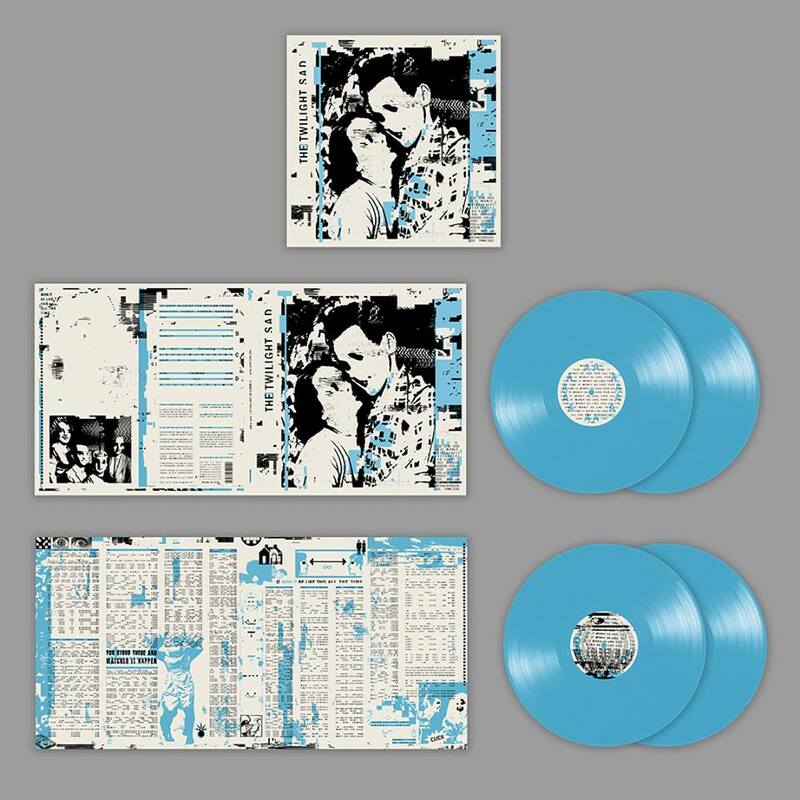 As principal of his design firm Bad People Good Things he has designed hundreds of record sleeves for everyone from Teenbeat to Warner Bros.